In Science we are investigating rocks and soils. We have investigated rocks within the grounds of the school and have identified their purpose. We have considered the rocks beneath the surface and understand the structure of the Earth. 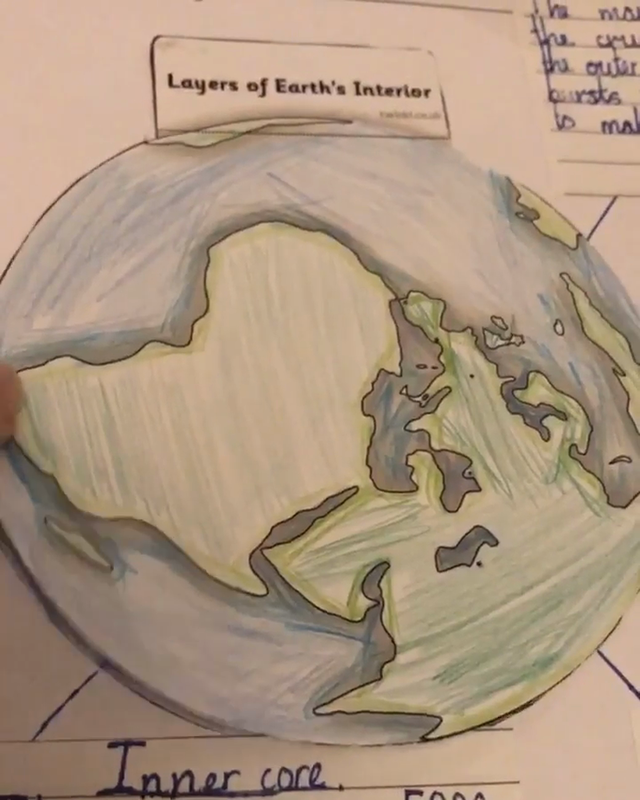 We are able to identify 4 layers of the Earth. Crust, Mantle, Outer core and Inner core. Ask your child about each of these layers and see how much they remember! I'm sure you will be impressed! We have started looking at volcanoes. We first learnt about them in our text Escape from Pompeii- the story of a young boy and girl who escaped their home after the deadly eruption of Mount Vesuvius. 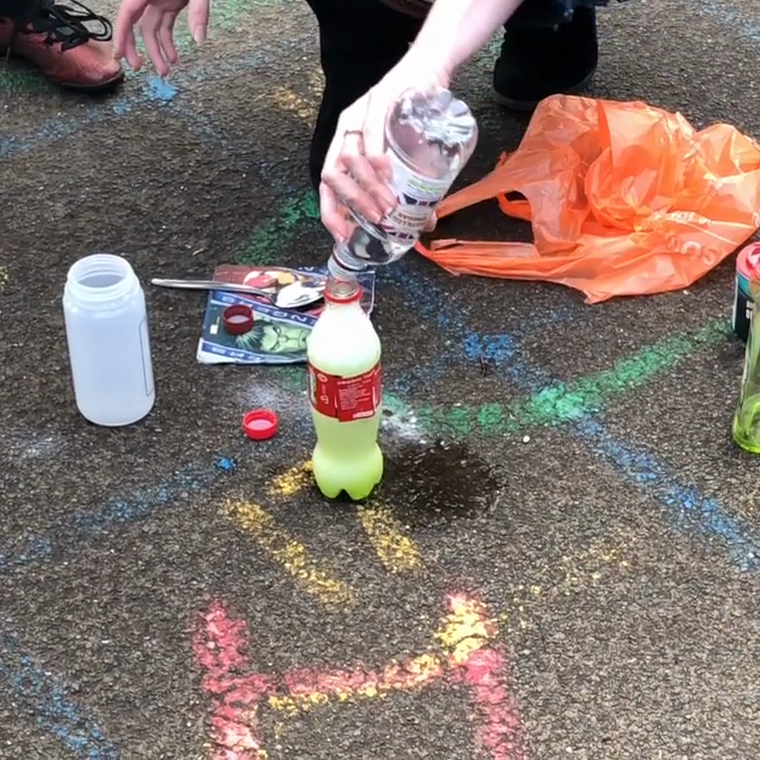 We have labelled a cross section of a volcano and even attempted to create our own volcanic eruption with some household items. - To be honest it was a little underwhelming, but fun nonetheless! Why not try it at home!? We even had a go at excavating chocolate chips!